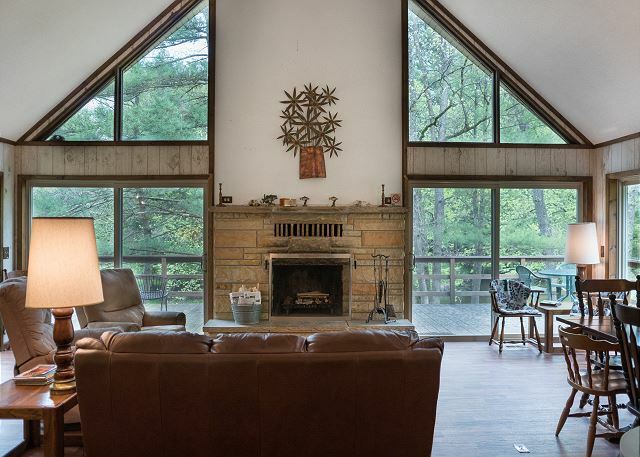 Huge dining, living, and family room area with vaulted ceilings looking out to the Pere Marquette River. Looking from the living room area back into the kitchen and bedroom areas. There is a washer and dryer inside the cabin. Loft area with two twin beds. View from loft area looking down to the living room, fireplace, and out to the Pere Marquette River. Upstairs bedroom with two double beds. View from loft area looking down to the living room, fireplace, deck, and the river. The mantel above the fireplace. Looking out from the living room towards the deck and the Pere Marquette River. Living room with fireplace and fantastic views of the river. 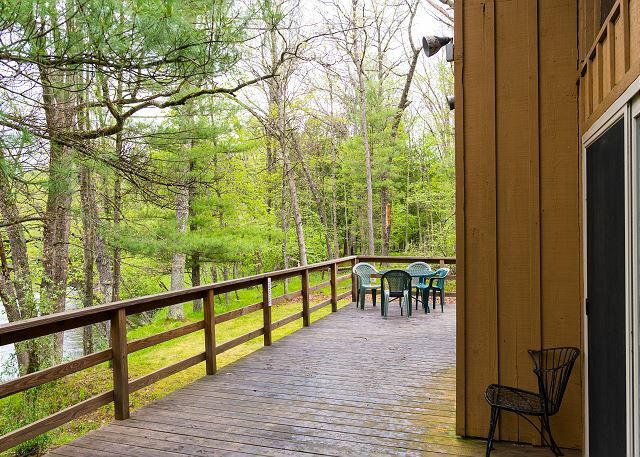 Large wrap-around deck overlooking the Pere Marquette River. Large deck with river views from every side. Huge deck with incredible views! Side view of Cabin #1 looking over the river. The Pier Marquette River. Incredible views, great fishing, the ultimate place to relax. Cabin #1 sits just a few feet from the river's edge. 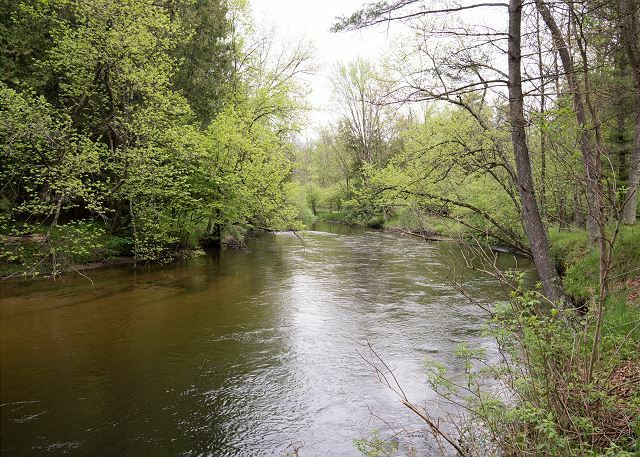 Cabin 1 sits just feet away from the bank of the Pere Marquette River. 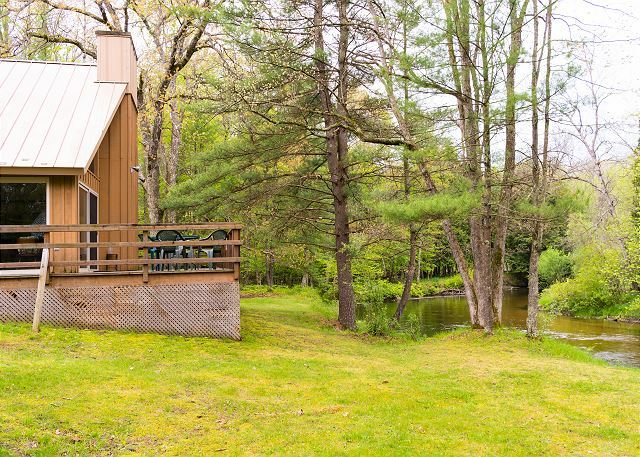 Fish directly next to the back deck, or simply kick your feet up and listen to the constant but tranquil sound of the water flowing, all from the comfort and privacy of your own cabin in the woods. 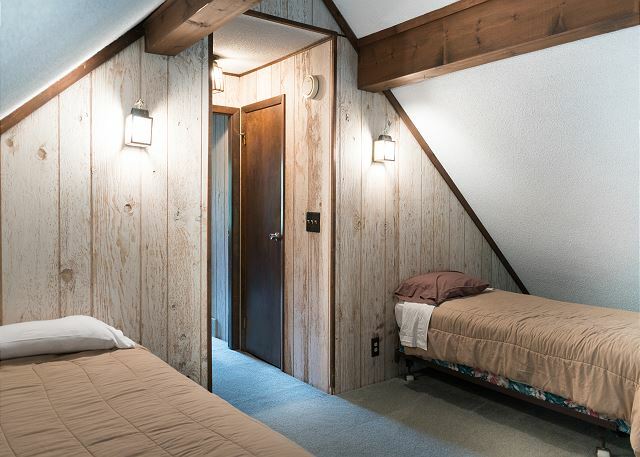 The cabin has 3 private bedrooms and a loft area and sleeps 8 people total. The main floor has a fully stocked kitchen, living room and dining room area with fireplace. There is also a large deck off the back of the cabin sitting just a few feet from the rivers edge. The cabin sits right on a bend in the river, giving incredible views in both directions up and down stream. The fishing is spectacular in this location. 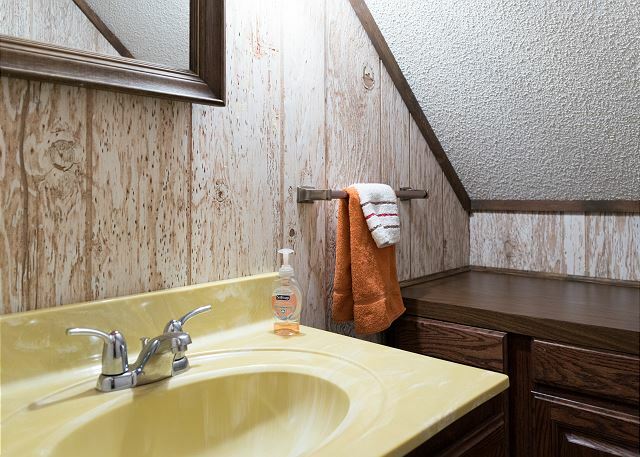 The location of the cabin is secluded enough to have complete privacy, but close enough to the housekeepers cabin and to the other cabins to be close by if you have a group or are renting multiple cabins. 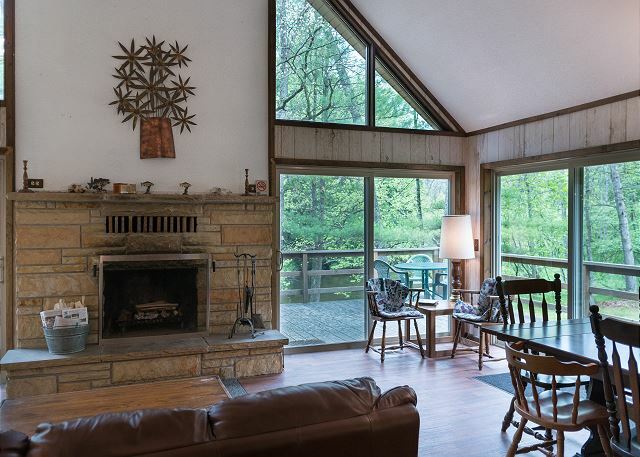 Located on the beautiful Pere Marquette river, this cabin (really a complete home with all the amenities) offers quiet, magnificent views and lots to do in a rustic setting. 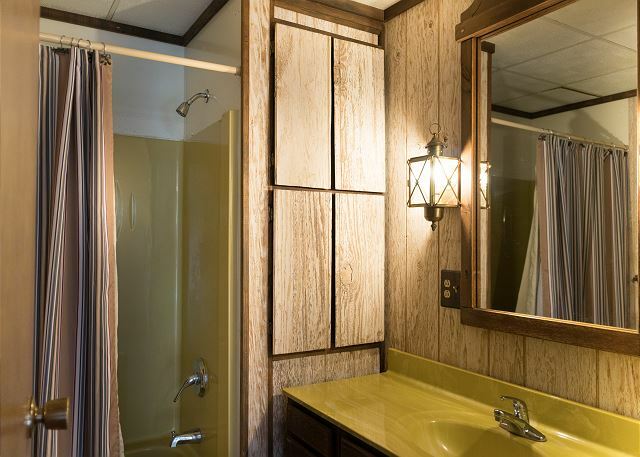 Although the cabin could use a much needed update (furniture, appliances), it is well maintained and there is something compelling about it’s dated charm. I’ve been staying at Cannon’s at least twice a year (fishing, for the most part) for many (!) years and I (and my fishing compatriots) always look forward to our next trip. We had a great stay. The cabin exceeded expectations, it was very well maintained and spacious, and the Pere Marquette winds right past the back porch. The caretakers were very kind, helpful, and the homemade bread when we arrived was a nice touch. The cabins are fairly secluded, there were other cabins within at least a few hundred feet of our place but they were thoroughly obscured by the surrounding forest. The indoor fireplace was all prepared for us on our arrival, but it was a little too warm for use. The facility does not have an A/C, but it stayed cool despite the 90deg temperatures. My only suggestion -- minor -- is that an outdoor firepit would be a nice addition. Hi Benjamin - thank you for taking the time to review your stay, so glad to hear you enjoyed your stay, please keep us in mind in the future. 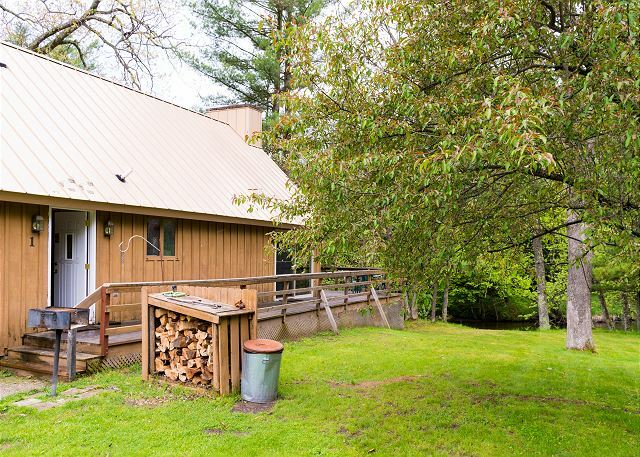 Secluded roomy cabin in the woods right on the banks of a beautiful, clear river. We had a great family vacation for a week. Loved it! And the caretakers were wonderful. Tucked away in the national forest. Close enough to Lake Michigan for day trip but far enough away from hustle and bustle of the shire. Really enjoyed the river. Hi Jennifer - thanks so much for the feedback. The Cannon River Ranch is a special place, glad you were able to create some family memories there. Thank you for staying with Unsalted Vacations, please keep us in mind in the future. This is a Beautiful Remote Location! Hi Chris - thank you for the kind words, the Cannon River Ranch is an amazing place and we are happy you got to enjoy it. Come see us again. Hi David - thank you for this review, so happy to hear that you enjoyed yourself at the Cannon River Ranch! 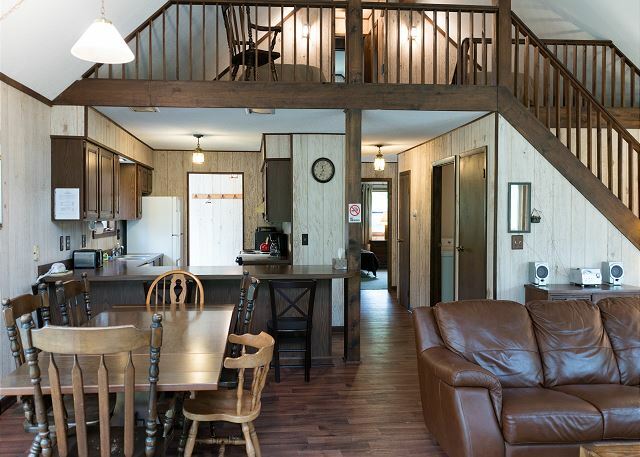 This fully equipped cabin is one in a series of four at Cannon’s River Ranch and overlooks the beautiful Pier Marquette River. Whether you fish, raft, kayak, or sightsee, this is the place for those who love the woods and all within them. Hi Henry - as always, its a pleasure working with you and we're always so glad to hear how much you enjoy Cannon River Ranch. We look forward to hosting you again soon. Loved it! So much to do in the area. And great place to just relax and chill too! Hi John- thank you for taking the time to leave this review, Cannon River Ranch is a very special place and we are so glad you got to enjoy it! There is no downside to Cannon River Ranch. 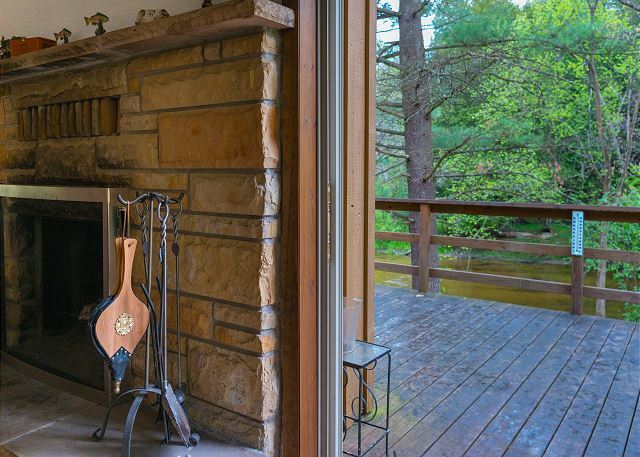 The setting is beautiful and pristine and the fact that most of the cabins are located right on the Pere Marquette River only amplifies the beauty of this wonderland. The cabins are well-maintained and comfortable. Fish right out your door or if you prefer canoe or kayak this magnificent river. Hi Henry - thank you for the review. Cannon River Ranch is very special place and so glad you were able to enjoy it. We'll see you next year! As we drove into the location, we were greeted by the most kind caretakers! They were extremely nice and there for us for whatever we needed! The cabin location was very nice and perfect for spending time with our friends. The lake rigt outside our doors was also a plus! Hi Virginia, we are so happy to hear you enjoyed your stay at Cannon River Ranch. We hope to have you back again soon! Thanks for a 5-star review of Cannon River Ranch! We are so happy to hear that you enjoyed your stay and hope to have you back again for your 21st year! Pleasant stay. Beautifully maintained. Splendid view. Just one suggestion is, to have more sign boards as it gets confusing once we get inside. Thanks so much for your five-star review! We are happy you enjoyed your stay and will certainly keep your recommendation in mind for additional signage. Hope to see you back next year! 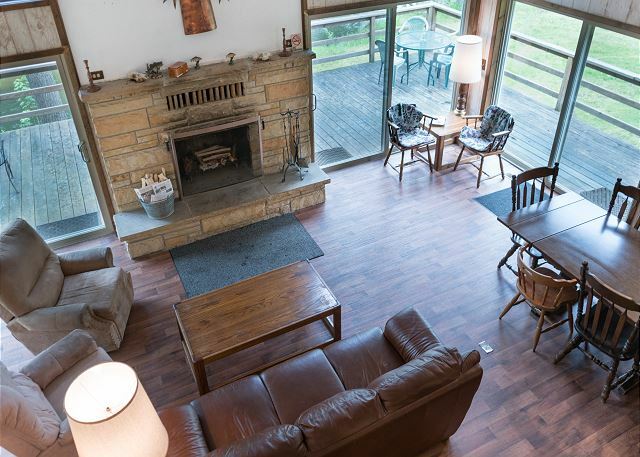 We are thrilled to hear you had a great time on vacation at Cannon River Ranch (Cabin 1) and found it homey & comfortable! Hopefully we will see you again soon!